Our water soluble, concentrated, liquid seaweed & fish emulsion has a higher nitrogen level than most emulsions. 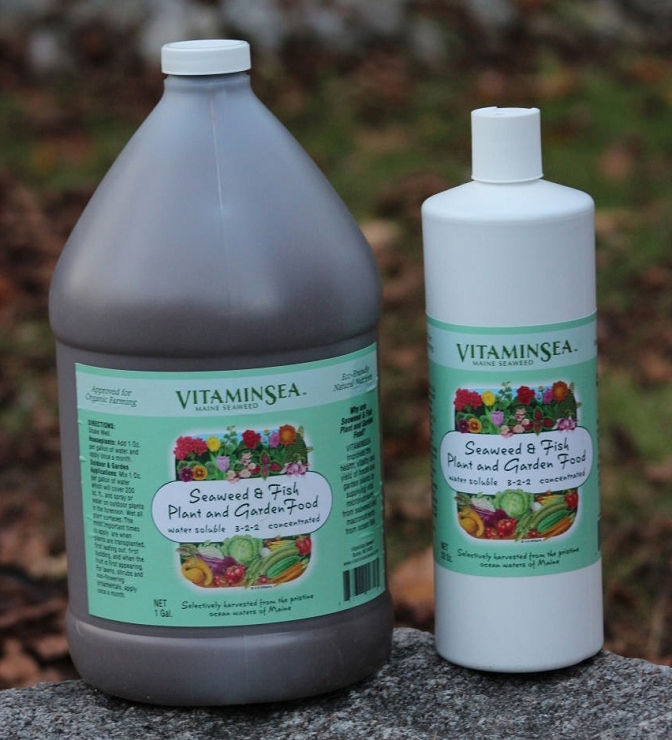 Our liquid fertilizer improves the health, vitality, and yield, of house and garden plants, lawn, shrubs, and ornamentals by supplying vital micronutrients from seaweed and macronutrients from ocean fish. Mix 1 oz. per gallon of water, once a month. One gallon will cover 200 sq. feet of lawn.